I was born August 12, 1970 in the small suburban town of Greensburg in Southwestern Pennsylvania, 40 miles east of Pittsburgh. I currently reside in Irwin, Pennsylvania with my wife Kathy and son Joshua. I've had a life long interest in the strange and unusual. Being a fan of Horror and Science fiction movies, I spent a good portion of my childhood watching films and television from this genre. I also spent a lot of time in my local school and public libraries educating myself on the supernatural and unusual world around us. I read books, magazines and newspaper articles on all things paranormal. I grew up watching shows like In Search Of, The Outer Limits, The Twilight Zone, The Munsters and The Addams Family on TV. In 1997, after attending a Bigfoot Conference in Ohio, I decided to begin investigating claims and reports of Bigfoot sightings in Pennsylvania for my own curiosity. I formed the Southwestern Pennsylvania Bigfoot Study Group and became a volunteer field researcher for the Bigfoot Field Researchers Organization- the BFRO. I was appointed the point of contact for Pennsylvania by Matt Moneymaker. In 1998, I met fellow Pennsylvania Researchers Steve Anderson and Henry Benton and in early 1999 became a member of the Pennsylvania Bigfoot Society. In 2000, I was appointed the Director of the PA Bigfoot Society. a position I held until August 2014 when I resigned from the group to pursue independent research. In May 2016, I founded and am the director of the Pennsylvania Cryptozoology Society, a new group of volunteers investigating strange animal and cryptid cases in Pennsylvania and surrounding statees. During my 21 years of active field research, I have been involved in assisting with or personally investigating close to 300 cases not only in Pennsylvania but across the country. Aside from Pennsylvania, I've traveled to other states around the country investigating claims of Bigfoot sightings and activity. Those states include Ohio, New York, Maryland, West Virginia, Texas, California, Oregon and Washington State. I've served as a consultant and adviser on the Bigfoot phenomenon for multiple paranormal and cryptozoology groups including Paranexus, the Paranormal Society of Pennsylvania and the Keystone Bigfoot Project. I have been a member with multiple Bigfoot Research Organizations including The American Bigfoot Society, Sasquatch Watch of Virginia, and SquatchDetective.com. I I am a member of Goosebumps Paranormal Society, BAPS Bigfoot and Paranormal Society , The 'Phantoms & Monsters Fortean Research' team, and once again with the Bigfoot Field Research Organization. I also work with and follow up on Pennsylvania reports for Cliff Barackman from Finding Bigfoot, and the UFORCOP Ufo Center Research Center of PA. In 2018, I was invited to become a member of the Society of the Supernatural. I also conduct independent investigations as well. I have Hosted and Organized 8 East Coast Bigfoot Conferences, and co-organized and co-hosted the 2011 Pittsburgh UFO/Bigfoot conference with the Pennsylvania Chapter of MUFON. I am currently the Co-Organizer and Co-Host of the Pennsylvania Bigfoot Camping Adventure, now in it's third year. My research and work has been featured in all forms of media outlets including books, magazines, and countless newspaper interviews. I've been interviewed in over 100 internet, terrestrial and satellite radio programs and featured in numerous television programs as well. I've appeared in the 2004 East Coast Bigfoot Conference DVD, the 2012 documentary film American Sasquatch Hunters: Bigfoot in America the 2014 DVD film Mountain Devil: The Search for Frank Peterson and most recently in the 2018 documentary film Invasion On Chestnut Ridge . Aside from media appearances and field research, I have also traveled the East Coast for the past 18 years lecturing and presenting talks for schools, clubs, organizations, meetings, various groups, Bigfoot and Cryptozoology Conferences and Events. I'm currently available for booking for these events which you can contact me on this page for more information. With a educational background in broadcasting and a degree in Communication, I spent the early part of my employment From the years 1988 to 2006, working in commercial radio as an On Air Personality at several radio stations in Pennsylvania. 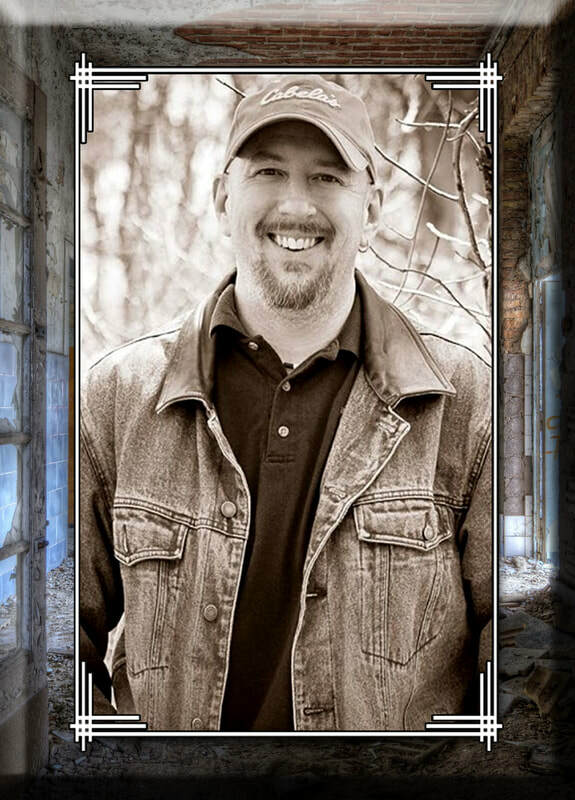 With my combined experience in radio and interest in the paranormal, I co-founded Beyond The Edge Radio with Sean Forker in 2007. BTE Radio is now in it's 9th year on the air. You can tune in live on Sunday nights from 8 to 10 pm Est. on the Para-X Radio Network, Planet Paranormal and Tune in radio. Links may be found on the website as well. I have been writing a book about the Bigfoot phenomenon in Pennsylvania off and on for the past 5 years. You may check the events, appearances and lectures segment of the website to find up upcoming events I'll be appearing at, my lecture schedule and where I'll be during the year. You can also find me on Facebook, Twitter and Instagram as well.